Exploring mind, body and soul at Netzer SA Winter Camp Chakirah. Pennington Beach, Durban. 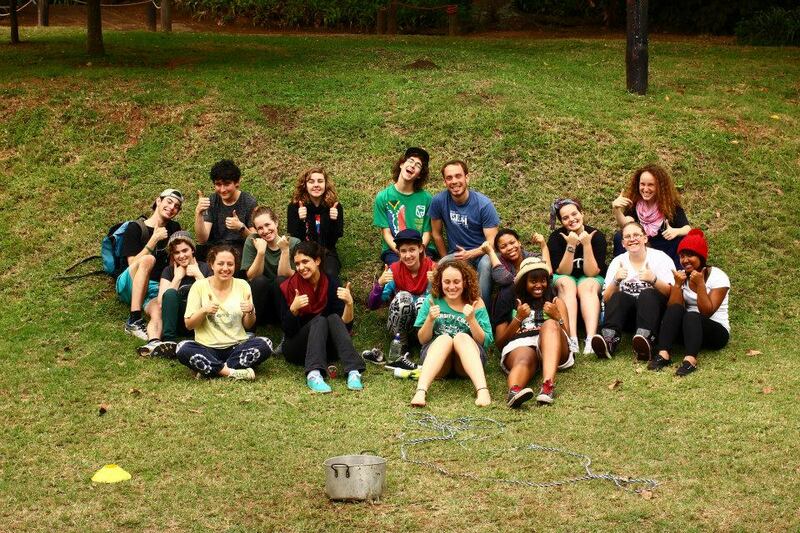 1-9 July 2013.What a wonderful camp filled with laugher, smiling and growing! We had such a blast learning about all the cool things in Netzer, and actually getting down to the fun stuff. Hereâ€™s a little update (as posted live at the end of each day) as to what went down on Machaneh Chakirah â€“ Lets Go Exploring! What a crazy, busy day here in Pennington! Early this morning we all indulged in delicious pancakes before heading off to some group bonding activities and obstacle courses. We overcame many fears throughout the day and did some rock climbing and zip lining. We spent the rest of the day eating chocolate, singing, praying and learning about our ideology and being a Maddie(leader) in Netzer! Now itâ€™s time for a night of chilling out in the wilderness! We are proud to say that we are tired but also excited! We took a trip down the road to the beach and enjoyed a relaxing few hours before getting back to learning. We delved into our personal ideology, and learnt about the different focuses an ideology could have and did some drama games to learn how to project, speak and lead with Spontaneous Hadracha (leadership). We finished off our day with a Maâ€™amad (creative prayer service) and a delicious stew to warm us up! Early this morning we walked to the beach to take part in welcoming Reese Joseph, one of our Channichim (participants), into the Jewish tribe. With her Batmitzvah just a few weeks away, we were lucky enough to take part in her Mikveh Ceremony on the beach, as part of her conversion process. Saturday started with a bit of a sleep-in and a â€œChoose Your Own Adventureâ€ Maâ€™amad. The rest of the day has been pretty chilled and weâ€™re all feeling rejuvenated and ready for the new week, jam packed with learning and friends before school starts again. Mazkirut note: It has been an unexpectedly special Winter Camp with our Young Leaders inspiring us and making us proud through how much they have grown and learnt! A really productive day today with Netzer South Africa. Our Mazkirut and oldest age group â€“ Keshet â€“ have been hard at work over the past six months preparing proposals for their Vaâ€™adot. Today we finished the first two of our Kinnus Sessions, where we discussed and changed the way we vote and spoke in-depth about Shabbat and how to make it a special occasion on Camp. We are also in the process of adding new and creative ways to do Birkat Haâ€™mazon. Weâ€™ve made a lot of progress in changing some of our year-long policies and camp policies for Summer Machaneh. We look forward to implementing the changes we have made to our Tâ€™filah policy throughout the year and on Camp. To end off the day, Kinnus was followed by an amazing connectivity themed Maâ€™amad..